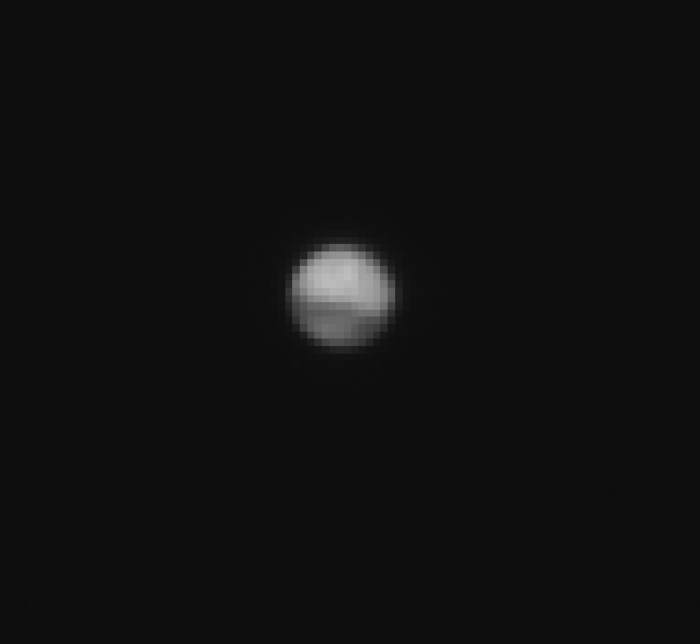 June 16, 2016 – ExoMars captured its first images of Mars this week as part of its preparations for arriving at the Red Planet in October. While the Trace Gas Orbiter’s ‘first-light’ image of stars was acquired within a month of launch, it has now set sights on its destination. The orbiter and Mars were 41 million kilometers apart on June 13 when the new image was taken. Although it does not compare to the high-resolution scenes that will be returned once the spacecraft is finally at Mars, it is an important milestone for the camera team. ExoMars, a joint mission with Roscosmos, was launched on March 14 and has already travelled just under half of its nearly 500 million km journey. As the spacecraft approaches Mars, the images will start to become ever more impressive. “Telescopes on Earth and the Hubble Space Telescope in orbit around it can still do far better than us at present, but we are still a long way away from Mars,” says Nicolas Thomas, the camera’s principal investigator. 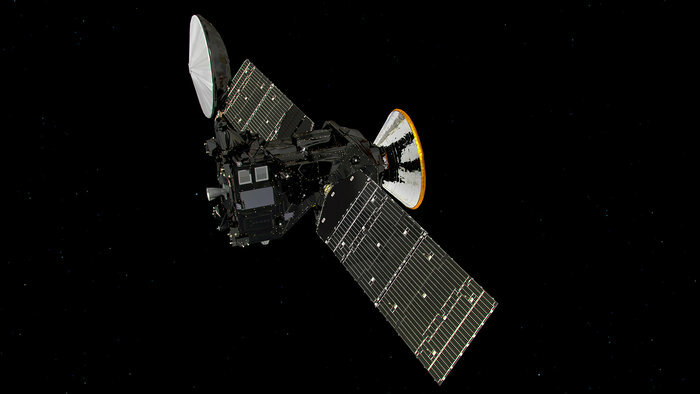 The orbiter is set to enter orbit around Mars on October 19, on the same day that its Schiaparelli entry, descent and landing demonstrator – released from the orbiter three days earlier – will land on Mars. While Schiaparelli’s primary goal is to demonstrate key technologies needed for landing, the orbiter and its suite of four instruments are tasked with sniffing out rare gases in the atmosphere. Of particular interest is methane, which could point to active geological or biological processes on the planet. The orbiter’s other scientific instruments have also been undergoing checks this week. Next month, on July 28, the spacecraft will perform a major course correction, which will line it up for Mars.